According to Gabriela Mendoza-Garcia, a dance scholar, choreographer, and artistic director in Laredo, TX, folklórico can be traced all the way back to the ceremonial and social dances of indigenous people living in Mexico. When the Spanish conquistadors arrived, they brought their own music and dances with them. During the colonial period (1525–1810) and even after Mexico's independence from Spain in 1821, immigrants from all over the world—Germany, France, parts of Asia and Africa—influenced the music and dances. During this colonial period, folklórico blended these influences with the traditions of Mexico's various regions and states. 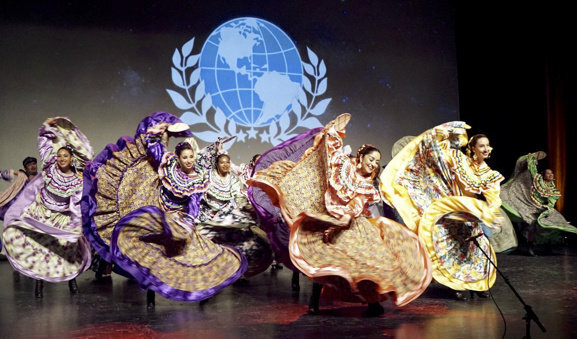 "Every state has its unique dance that represents them," says Raquel Ramirez, a teacher at Santa Monica College and director of Ballet Folklórico Flor de Mayo. Sometimes a dance will depict an animal from the area, a historical event that happened there, or another element of the local lifestyle. Ballet Folklórico en Aztlan performing "Mitotili Poblana, The Tree of Life"
The rhythms of the footwork, the music, and the costumes are all clues about where a particular dance comes from. For many non-Mexicans, the dances of the Jalisco region—with their mariachi music, women in braids, and colorful, ribboned skirts—are their first exposure to the style. Jalisco is also the birthplace of Mexico's national dance, the jarabe tapatio (hat dance). In the 1920s, Mendoza-Garcia explains, the Mexican government wanted to unify the nation and began teaching the jarabe tapatio in public schools across the country. It was even performed by Anna Pavlova, who choreographed a version of it in pointe shoes during an international tour, and helped it become known on the world stage. The fandango, from Veracruz, is another popular dance, known for its lightning-fast footwork. In it, couples take turns dancing on a wooden platform called a "tarima." Nailing the basic footwork, or zapateado, is probably the first thing you'll learn as a folklórico dancer. Ramirez breaks down the foot into four parts for her students—the toes, heels, soles (plantas), and balls. Each area can be isolated during any combination. Folklórico is percussive, but not in the way you might be used to from other styles. Ramirez explains that in folklórico, the sound comes from tiny nails on the front and heel of the shoe, rather than metal taps. You're also typically dancing on the beat (unlike flamenco, where the percussion is on counter-beats, or syncopated off the beat, most of the time). Mendoza-Garcia adds, "In folklórico we use the heel more. We don't shuffle the ball of the foot. We press on it to make a sound with our heel." The dance becomes part of the music. "We're vital to the music because we set the beat," Mendoza-Garcia says. "In some of the dances, you do soft footwork when there's singing so that people can hear the singers." Some of the other steps used in combinations include gatillos, or accents done with the heel in between steps ("It kind of helps you fill in the blanks with music," Ramirez says); sencillos, or simple scuffing steps; and remates, or stomps that are done in between phrases. Aside from the footwork, in many regions of Mexico, the manipulation of the skirt, or faldeo, is a key element for women. The length of the skirt, how high the dancer raises it, and the type of skirt work signal where the dance might be from. Typically, the skirt moves in a variety of patterns. 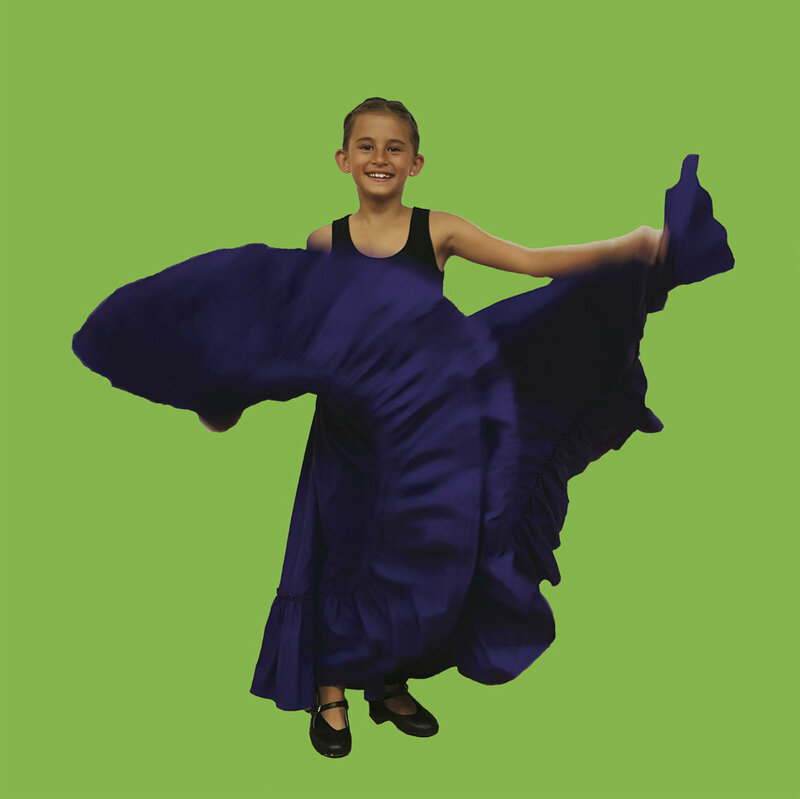 Some are in opposition to the feet—if you step with your right foot, your left hand might be raising and fanning your skirt—and some movements are in sync with the feet. For men, machetes are used in certain dances. 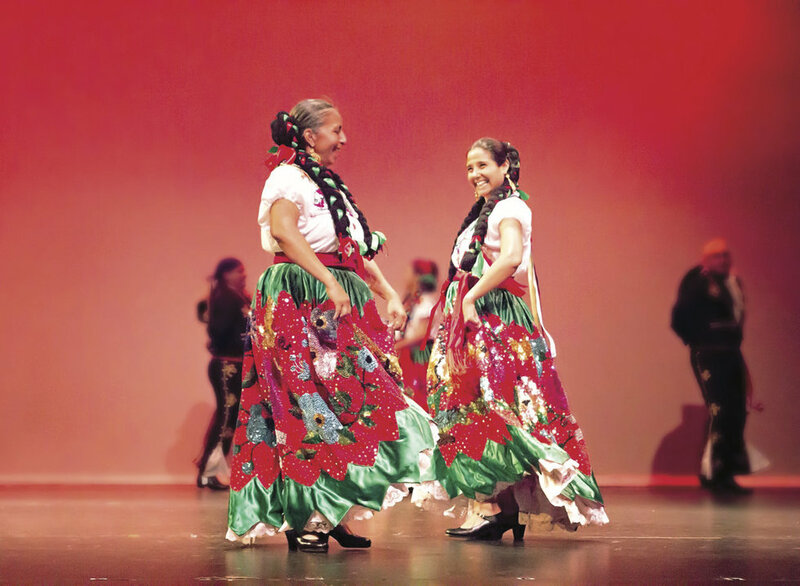 Technique aside, perhaps the most important element is "keeping an open heart and mind and spirit, so that the joy of the dance can come through," says Viviana Enrique Acosta, artistic director of Ballet Folklórico en Aztlan in Lemon Grove, CA. "Even more so than the technique or style, I'm looking for that connection to the spirit of the dance, as it is transmitted from one generation to the next." Over the years, some folklórico companies began incorporating elements of ballet and modern. Amalia Hernandez, the first to really become known for this, created Ballet Folklórico de México in the 1950s. While she was often inspired by Mexican history and traditional dance, "she added a lot of theatrical elements," says Mendoza-Garcia. "She was the first to add the modern and the ballet, and to reach such an international audience with a professional company." In one of her most famous pieces, La Revolución, Hernandez used folklórico to tell the story of women soldiers during the Mexican revolution. Today, companies across the U.S., as well as in Mexico, vary in the amount that they blend folklórico with other styles. For Enrique Acosta, understanding where the dances come from is the most important thing, even when adding more modern elements. Knowing the history adds dimension to the movement. "Our hallmark is trying to maintain the indigenous aspect of our culture," she says. "Many dances are quite profound, but people have forgotten that ingrained or encoded knowledge, and so it seems like just a bunch of floating skirts and stamping feet." For Mendoza-Garcia, dance is also a way to stay connected with her heritage. "It's a way of not forgetting where you came from," she says. A version of this story appeared in the April 2019 issue of Dance Spirit with the title "The Magic of Folklórico."